On the face of it, the most cost-effective cars on the market at the moment are electric vehicles (EV). It only costs €3.60 or so to fully charge the likes of the country’s best-selling EV, the Nissan Leaf. That gives enough battery power to cover 270km in real-world driving. Much the same sort of financial maths apply to the other main selling EVs: the Hyundai IONIQ, Renault Zoe and Volkswagen e-Golf, which between them account for the vast majority of electric cars bought this year. Other big pluses: road tax is just €120 and there’s far less maintenance. Buyers also benefit from €10,000 initial-price savings through a VRT rebate and SEAI grant. But there is still the lack of a comprehensive home or public charging infrastructure. And the big-selling cars are relatively small hatchbacks, not necessarily suitable for many families. Range remains something of an issue. Hybrids and plug-in hybrids, meanwhile, score over EVs in that you have a petrol engine as well as battery power so you can go further for longer. No range anxiety. The top hybrids for 2019 will be the new Toyota Corolla hatch, estate and, my pick, the saloon. Road tax is from €170. They claim 3.4-litres/100km. 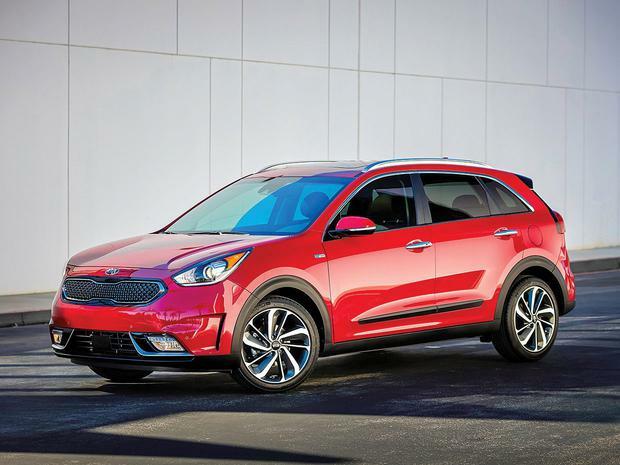 My value choice of the plug-ins is the Kia Niro. If your mix of driving is tilted towards a preponderance of urban, stop-start traffic then hybrids were made for you — for now at least. Small petrol engines should be in contention too but some are serious consumers of fuel. Pick of the bunch is the one-litre turbo from the Volkswagen Group but not for longer journeys. Speaking of longer journeys prompts mention of ‘diesel’ (shock, horror). If I were doing 20,000kms a year I would pass on EVs, dither on hybrids, not consider petrols but opt for a 1.6-litre diesel in the new Honda Civic saloon. In my real-world tests I got 4.6litres/100km (61mpg); and road tax is only €180. It really is horses for courses. For me, it would be the Leaf for up to 15,000km/year; Corolla saloon hybrid for 20,000km and the Civic from 20,000km. But if there has to be a winner, the clincher is if you are a company car driver and behind the wheel of an EV costing less than €50,000 you don’t have to pay benefit-in-kind (BIK).